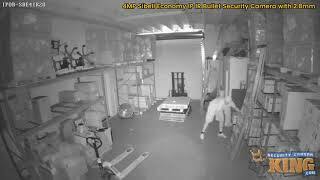 The latest Sibell bullet security camera doubles the resolution of many of our popular 1080p or 2MP cameras to a beautiful 4MP video resolution. On top of that, it has a great 2.8mm fixed lens that gives you a wide overall view that would be perfect for a parking lot, large warehouse or retail store but, it’s still a great, high resolution camera for just about anywhere you can imagine. 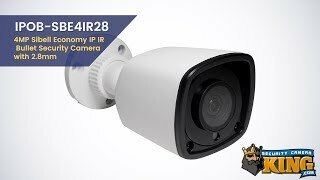 With 4MP resolution, you can digitally zoom in on your recorded footage to view detail that you couldn’t image with analog just a few years ago and in the world of security cameras . . . a clear, sharp image is important. We include a complete 2 year warranty as well as FREE US based tech support and FREE remote monitoring apps.